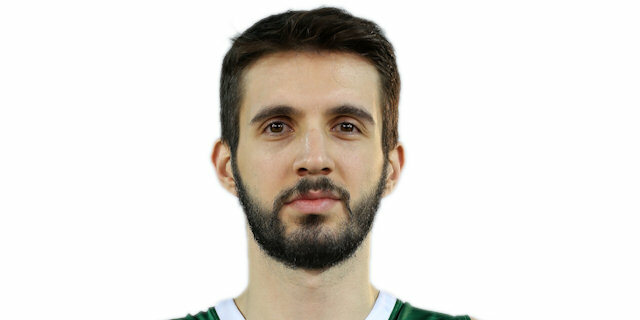 Made his debut with Pinar Karsiyaka (Turkey) during the 2007-08 season. Signed for the 2011-12 season by Galatasaray Istanbul. In November'14 signed by Philadelphia 76ers. In November '15 back to Turkey, signed for the 2015-16 season by Darussafaka Dogus Istanbul. Won the 2018 EuroCup with Darussafaka Istanbul. Won the 2012 Turkish President Cup with Galatasaray Istanbul. Played the 2010 and 2012 Turkish All Star Game. Led the 2009-10 Turkish League in blocking shots (1.4 bpg.). Has been member of the Turkish U-16, U-18 and U-20 National Team. Won the bronze medal at the 2009 European U-18 Championship. Played at the 2010 and 2011 European U-20 Championships. Led the 2010 European U-20 Championship in rebounding (11.6 rpg.) and blocking shots (1.7 bpg. ).